...First, the researchers’ estimate of 62 million deaths has far more shock-value than credibility....The 62 million-death sound-bite is the product of statistical modeling that uses worst-case death rate estimates from the 1918-1920 pandemic influenza – an epidemic that medical historians believe killed somewhere between 20 million to 100 million people. [T]he researchers ignored several key (not to mention glaring) differences between 1918 and 2006. First...modern medical care and public health practices have dramatically improved since 1918. So any flu epidemic is likely to be far less severe....Next, a great proportion of the deaths in 1918 was probably due to secondary bacterial infections that followed the initial viral infections. Today, antibiotics would be used to treat bacterial infections. And let’s not forget that during 1918-1920, much of the world was still recovering from the strains of World War I. Poverty, hunger, unsanitary living conditions and stress likely made much of the global population ripe for a killer flu pandemic. None of these considerations were factored into the researchers’ estimate. While scares about a global bird flu pandemic have been brewing for years, the “shock we are seeing is way out of proportion to the risk,” said Anni McLeod, a senior officer of livestock policy for the U.N. Food and Agriculture Organization. “Consumers are not very much at risk from this disease,” she said at a World Poultry conference in May. Infectious disease and agricultural scientists have been presenting science that tempers concerns for years, but it’s been underplayed in the media. Fostering fears of a crisis is too irresistible for a host of interests, from public health officials creating new emergency management programs, activists trying to frighten consumers away from animal products and modern farming, pharmaceutical companies and researchers seeking funding for vaccines, and media garnering readership and viewers with sensational headlines. We rely upon our public health agencies to have prudent precautions in place to detect and prevent the spread of public health disasters and protect us from bioterrorism and other threats to us, which we also hope are based on objective risk analyses. But the calm, careful statements of the evidence are not reflected in the messages most consumers are hearing or the responses they are seeing. Congress allocated $3.8 billion last year to create a massive governmental bureaucracy to address avian bird flu under the Department of Health and Human Services and asked all state and local health departments to develop pandemic plans. According to the HHS, “the Homeland Security Department will be in charge of a national response to a possible bird flu pandemic, relying on the department’s National Response Plan and National Incident Management System.” The plan included forecasts of “a pandemic affecting 88 million people...with illness rates highest for school-age children... as many as 10 percent of all employees being unable to work...Prioritize the distribution of vaccines and antiviral medication... Calls for closure of schools, offices, and malls and possible communitywide quarantines in the event of a severe pandemic....” The government has ordered 2.7 million doses of flu vaccine from three pharmaceutical companies, enough to vaccinate first responders, although the drugs have not yet been approved. Such terrifying claims certainly play on our emotions. But the value of exaggerating the dangers and scaring people half to death is questionable. Most consumers just want a balanced presentation of the facts. As in the case with so many scary things in the news today, the evidence and the work being done by capable scientists in this field offer reassurance, not fear. Bird flu, avian influenza, is just that. An infection in birds which occurs naturally from flu viruses that have been recognized in poultry since 1901. There are two forms: “low” and “high” pathogenic. The low type can make birds sick but poses no serious threat to people, whereas the high type spreads more easily among birds and is often fatal to birds. The high pathogenic type, known as HPAI, can infect people after extensive contact with infected birds. Most consumers don’t know that HPAI has been detected three times in the United States — in 1924, 1988 and 2004 — but it never caused significant health problems for people, according to the U.S. Department of Agriculture. That’s because, like other veterinary issues, this disease was quickly eradicated as a result of close surveillance of bird populations (live bird markets, commercial flocks, backyard and small growers, and migratory bird populations); import restrictions; and coordination between USDA, state, local and industry which act quickly to prevent the spread and vaccinate healthy birds outside an infected area. But it is important to know that there is no evidence that the particular strain in Asia, Europe and Africa over recent years currently exists here in the United States and it is unlikely to be introduced, given the “multi-firewall” strategy in place. According to the U.S. Department of Agriculture, the chance of infected poultry entering the processing system is extremely low. “Infected birds are typically too ill to be transported to processing plants. Federal veterinarians also check the health of all birds before they are processed to ensure that only healthy poultry enter the U.S. processing system.” American commercial poultry farms also prevent poultry from coming in contact with migratory wild birds that can introduce infections. While fears have raged that people can get bird flu from eating chicken and poultry, they are not based on the evidence. Simply using the same safe food handling and cooking that you use for poultry anyway is effective in destroying the virus, in the unlikely event it were to be present, says the USDA and CDC. You can enjoy your fried chicken or holiday turkey without fear. Of course, the main concern is if bird virus could randomly mutate to become a flu dangerous to people. It would have to become more transmissible from birds to humans and more transmissible between people to create another pandemic. The evidence is showing that’s much less worrisome than we’re being led to believe. 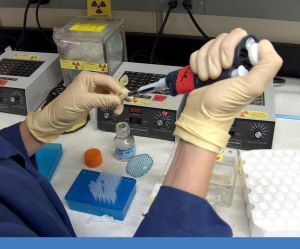 Recent CDC research, such as that published this summer in the Proceedings of the National Academy of Sciences, was unable to pass the virus that can cause human infections between birds, using the main pathways for transmissibility, “demonstrating that a pandemic may be harder to develop than originally thought.” They even tried unsuccessfully to make the viruses more transmissible by gene-altering them to cause mutations. And in October, the CDC’s Emerging Infectious Diseases Journal published a study that investigated all the households within a 1 kilometer radius of the human cases of bird flu in Cambodia. They found that “even when human-poultry interactions were regular and intense” and where infected poultry outbreaks had been confirmed, the transmission of bird flu viruses to humans is low. They also learned that simple hygienic animal handling practices greatly reduced risks and pointed out that educating rural farmers about those might prove most beneficial. They noted that their findings were consistent with other studies since 2004. Two groups of researchers, in Japan and Holland, reported earlier this year that the while the avian flu virus can on rare occasions infect people, it’s not like other respiratory viruses. Avian flu viruses settle deep in the lower lungs, keeping them from being spread by coughing and sneezing. They don’t spread easily between people because they don’t infect the nose, sinuses and throat, meaning a flu pandemic is unlikely. “The avian virus would need to accumulate many mutations in its genetic material before it could become a pandemic strain,” said virologist Yoshihiro Kawaoka at the University of Wisconsin and the University of Tokyo. The bottom line: While the word “pandemic” strikes fear in the hearts of most of us, we have also lived through a pandemic and were probably not even aware of it. The last flu pandemic was in 1968 and killed 33,800 Americans — about the number who die from the flu in an average year. There is no evidence we need to panic about another flu pandemic based on the millions who died a century ago. Flu is worthy of our attention and prudent precautions, but panic can be far more virulent and costly than the bird flu itself.